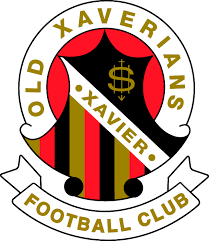 The Old Xaverians have managed to retain the guardianship of the McClure Shield after a long-fought battle at the Xavier College First XVIII at Waverley’s VFL Park. The match saw windy but warm playing conditions and perfect pitch conditions with both today’s stars and the future stars joining in on the action. The match got off early with a start time of 7:50 am when most are still waking up or enjoying a cup of tea and their morning breakfast. The gameplay was excellent from beginning to end with promise coming at the hands of both the XC 2nd XVIII and U19 Reserves. Those who graduated worse red to stand out against those still active students. The main match was played at a fast pace with the XC Team being led by Luke Ball, Matt Ball, Ted Woodruff, Sam McClure, James McDonnell and Nick Bye, and by all indications, they are off to a great season. They came out strong and got the best of Shaw’s team to help the old boys get the win. Each of the games showed great spirit on the field and was perfect for the season that lies ahead for both teams. The younger Old Xaverian had their shining after seeing matches at Ferntree Gully, and Mt Martha cancelled mid-week in what saw the lads off to Bungaree to face f St Kevin’s. Both teams had missing players as usual with opening day matches, and the game was tough to gauge based on which was stronger of the two. The Red ‘n’ Blacks earned wins in both the curtain raiser and main event but this match did not come with premiership points. The M8 proved a dangerous journey to the west due to a large electrical storm that was making its way to Melbourne and creating havoc on the roads. The storm seemed to give the team a charge that saw them faster on the field as they enjoyed the excellent playing service and superior facilities. 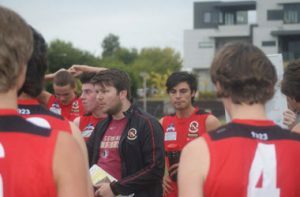 It seems that the conditions weren’t ripe enough as the rain continued and the match ruined after the first quarter saw Jayke Barrack scoring three goals. The break saw the Red ‘n’ Blacks working hard to catch up and were dominant in the second half. Thankfully the rain came to an end, but the damage to the field could be seen before the main event. The teams both were, for the most part, but Xaverian put on the pressure and took the win. Team Coach James McDonald gave accolades to several younger players for their contributions, and as the month of March always has some options on the table, the timing was ripe for those players to showcase their abilities and shine.